Timothy Brown is a doctoral student and research assistant at the University of Washington (UW). 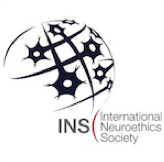 He works with the Center for Sensorimotor Neural Engineering's (CSNE) Neuroethics Trust, where he explores the broader moral and societal implications of neural engineering and neural technology use. Through the CSNE’s support, he is also embedded in the UW's BioRobotics Lab, where he investigates issues of autonomy and agency that arise for people with motor disorders who use next-generation, neurally-controlled deep-brain stimulators to manage their symptoms. 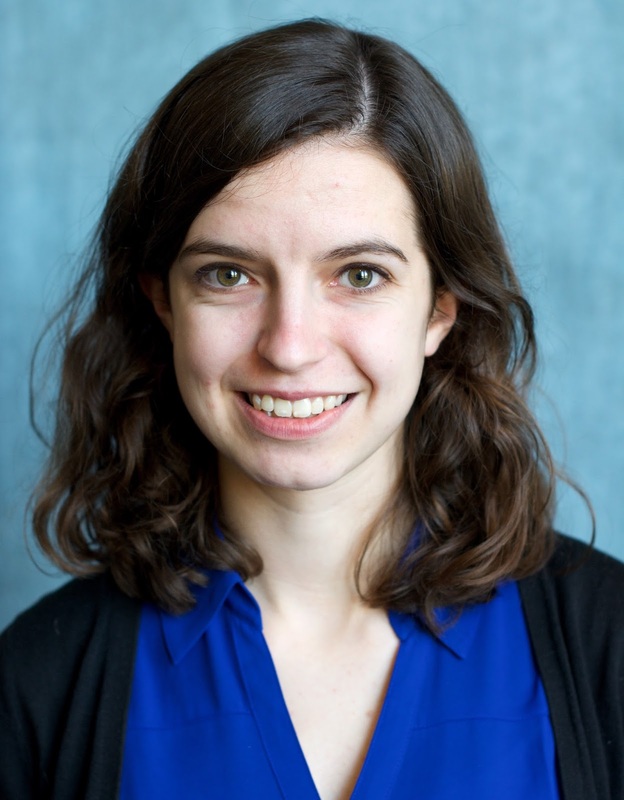 Margaret Thompson is a doctoral student in the BioRobotics Laboratory in the Electrical Engineering department at University of Washington, Seattle; she is also president of the Student Leadership Council at the CSNE. She received her Master’s in Electrical Engineering from University of Washington in 2016 and her Bachelor’s in Engineering from Harvey Mudd College in 2014. She researches side-effect mitigation methods for deep brain stimulation, as well as how human subjects learn to use brain-computer interfaces over months to years at a time. Maggie Thompson and Tim Brown are graduate students at the University of Washington—Maggie studies electrical engineering, and Tim studies philosophy (in particular, neuroethics). They are both members of the Biorobotics Laboratory—a multidisciplinary lab investigating the interface between human bodies and machines. 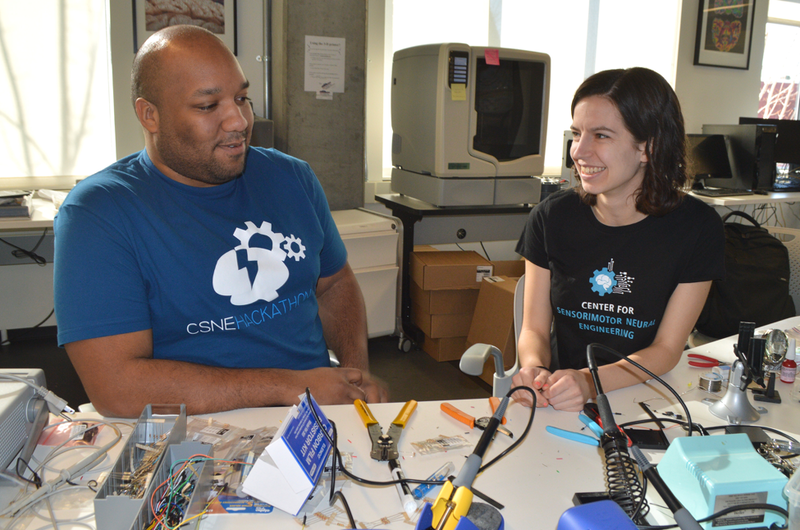 Tim serves as the lab’s “embedded ethicist” through the support of the Center for Sensorimotor Neural Engineering (CSNE). 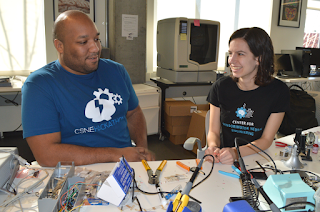 Together, Maggie and Tim work on projects related to deep brain stimulators (or DBS, where electrodes implanted in key areas of the brain apply enough current to treat various disorders) and brain computer interfaces (or BCI, where changes in the brain are read by sensors and used to control a computer system). Their current study collects patient perspectives in “real-time” while they test the next-generation of deep brain stimulators. Their goal is to see how patients relate to their implant and how this relationship changes with different kinds of control over the implant and its parameters. At conferences and meetings, people are almost more interested in how Maggie and Tim collaborate than what they collaborate on. After all, there are calls for scientists and engineers to work with humanists but it’s not clear how to get started or what that collaboration looks like. In this post, Maggie and Tim continue their work (i) in a conversation answering some of the common questions people have asked about what it’s like to have an ethicist in the lab, and how to collaborate with one. 1. What were your hopes for the collaboration before you started? What concerns did you have beforehand? Tim Brown (TEB): When I started working with the lab, several students were working on the security of brain-computer interfaces (ii) and adaptive control of deep-brain stimulators (iii). I hoped that I would be able to contribute to one of these projects, but I would have considered myself lucky just to be able to sit in lab meetings. I was concerned at first that everyone in the lab would consider me too much of an outsider to understand their high-level discussions. I was also worried that I wouldn’t be able to explain why my work was relevant or why I should be allowed to attend lab meetings. Maggie Thompson (MCT): These were the same concerns that I had in joining the team despite my shared background in engineering. It's always a little daunting to join a new team. When I joined, I was excited to look at questions like "how can the philosophy and ethics work strengthen the engineering work?" and vice versa. One concern has been balancing my engineering research interests with this collaboration. Doctoral programs will consume all of your work, social, and personal time if given the chance, and so to carve out time for a project like this was a challenge. Another concern I had was that adding an ethics collaboration made me seem too "touchy-feely," or somehow softened my engineering in a detrimental way. This was a heightened concern since I'm a woman in a male-dominated field, so I already felt pressure to validate my technical skills without adding a humanities focus into the mix. I tried to remind myself that this collaboration would help me produce a higher quality system; if other researchers can't appreciate the merit in that, then they are the ones who need recalibrating. TEB: My experience is the converse of Maggie’s. Some philosophers discourage taking an empirical approach to philosophical problems—they prefer to leave data collection and analysis to the scientists. Some philosophers, then, worry that our work is not philosophy. As a person of color, this is particularly damning: many philosophers of color worry about being perceived as “real” philosophers, and some struggle to find a place in the academy (iv). But if our work is “too touchy-feely” to be engineering and “too empirical” to be philosophy, where does that leave us? Tim and Maggie working together in the BioRobotics lab. 2. 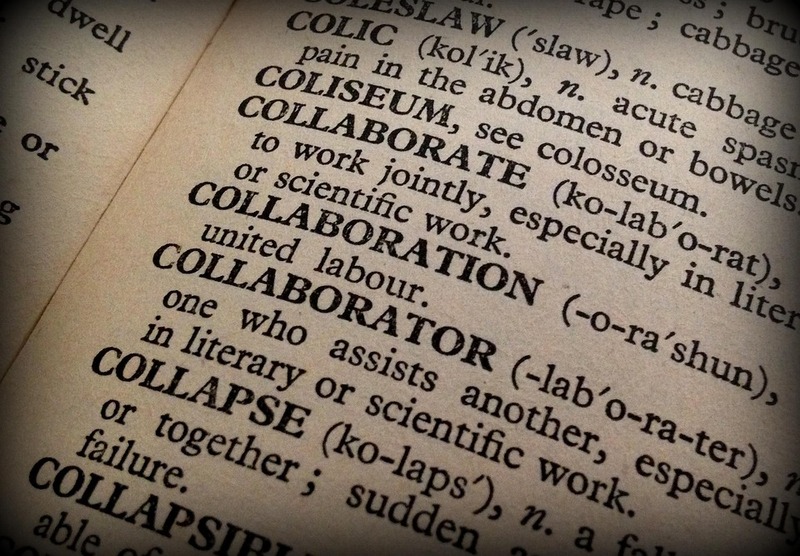 How does your collaboration work on a daily basis? What are your main "modes of operation," or features that you think keep the collaboration running smoothly? MCT: Tim and I work as Ph.D. students under the program requirements of our respective departments. We each have unique research goals and our own dissertations to write. But there is overlap in our research questions, and some of Tim's research requires asking questions during experimental testing of our neural devices. Similarly, I have questions that can't be answered without tools from Tim's domain. So periodically, we meet to discuss this crossover and identify a plan of attack to answer these questions that rely on one-another's research. Between these meetings, we share papers, design and execute experiments, review data, and write articles together. There's no magic; Tim and I are just willing to peel time away from our individual research interests and lend it to this collaborative work. Since I'm not as familiar with some subfields that Tim works in, when he sends me a paper to read, I have to recognize that it will take some time for me to fully appreciate it, and there's no way around that. But by lending each other time for reading and discussion, we build this shared understanding for each other's work that ultimately enriches the quality of work that we produce together (v). It's definitely a process of growing your collaboration together, so it's good to start simple with a couple of shared questions and build from there. TEB: This is extremely important, I think. There is no a magic formula that makes this kind of collaboration work. We both have our own interests and areas of expertise and we both contribute what we can when we can. I don’t think this is any different from how labs work in general. In our case, I contribute skills and knowledge from the humanities, but I also contribute skills I picked up as a kid tinkering with computers. MCT: Tim also has a desk in our lab, which is important for a few reasons. First, being able to turn around and brainstorm with each other when we’re working is much more spontaneous and convenient than drafting an email every time we individually think of something. More information gets communicated and in a more organic way. Second, regardless of which department we are coming from, it’s important that we are mutually concerned with things like desk space issues, lab website management, how meetings are scheduled, etc. These unglamorous tasks are a place to connect in terms of shared effort. You probably all want a similar outcome such as more desk space, a clean lab environment, an effective website, etc., but some amount of time and effort has to be put in to get there. When you all work on those things, you can't help but become more of a team. Practicing shared effort is where your collaboration grows. TEB: Yes. Unfortunately, folks in the humanities worry that they don’t have anything to contribute to a laboratory, or that they will not become a part of the community. Conversely, folks in science, technology, engineering, and mathematics fields say that they don’t know how to navigate ethical issues, or that ethics is best left to “experts.” But Maggie has personal experience thinking about the social justice implications of how people use technology at large. So, it only makes sense that she can recognize the ethical problems with the technology that she works on. And so another important part of keeping the collaboration alive is pushing through imposter syndrome and just contributing whatever we can to it. Close contact is the most important feature of my collaboration with my labmates. I try to meet with my labmates regularly, maintain a presence in the lab, and stay as engaged as possible. I also try make myself accountable to my labmates, and I encourage them to do the same for me. We do this by working on projects together—where I hold Maggie accountable to recent neuroethical concerns, she holds me accountable to real-world uses of BCIs. Some argue that when ethicists collaborate with scientists or engineers, they ought to maintain a “critical distance” from them to avoid being co-opted and used to “rubber stamp” the lab’s activities (vi). I think co-optation, however, is just the sign of a one-sided, distant relationship. After all, good colleagues don't just use one another as tokens, they take each other’s interests, projects, and methods seriously. 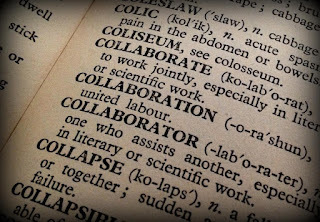 I think we try to do that for one another, and that’s a large part of why our collaboration works. 3. What do you think shows success in your collaboration? What outcomes have been good for you individually, the continuing collaboration, or both? TEB: I think our success can be described in terms of the unique skills and ideas we’ve developed as researchers. I find it easier to write and talk about neural technology now that I’ve seen so many people using and investigating it first-hand. Maggie is great at describing the technologies we use and the design of our experiments using them—so I’ve learned a great deal from her. I now feel confident doing empirical research in a multidisciplinary setting. Philosophers generally don’t pick up any of these skills in graduate school: we just learn to read texts closely and develop arguments. This collaboration has made my philosophical work better in that I don’t just work from thought-experiments. These empirical research skills also put me in a better place to “pull my weight” in the lab. MCT: A lot of researchers are interested in what we're doing and want to know recommendations for starting similar collaborations with their own teams. I think a lot of people recognize our type of work and collaboration as valuable even if they haven't participated in it themselves. It also gets cited as a positive aspect of our work by grant reviewers, and their opinions carry a lot of weight. This collaboration has helped me personally in a couple of ways. I've been able to better motivate our pursuit for neural technology. Having ethical considerations in the mix means more than just saying "this is a technical improvement," it means considering richer aspects of improvement that might be different from my preconceptions as an able-bodied engineer. I'm also gaining skills for working on multidisciplinary teams—and this isn't just the type of multidisciplinary teams where engineers talk to scientists, it's bridging larger gaps that a lot of engineers or scientists haven't had the opportunity to work across before. Tim and Maggie will continue this conversation later this year in a paper where they will offer concrete recommendations for successful embedded ethics efforts. By reflecting on their collaborative experience, they aim to inspire and embolden other researchers to implement similar embedded ethics approaches within their own area of study. They will also continue their research on Brain Computer Interfaces and Deep Brain Stimulators in their respective dissertations. 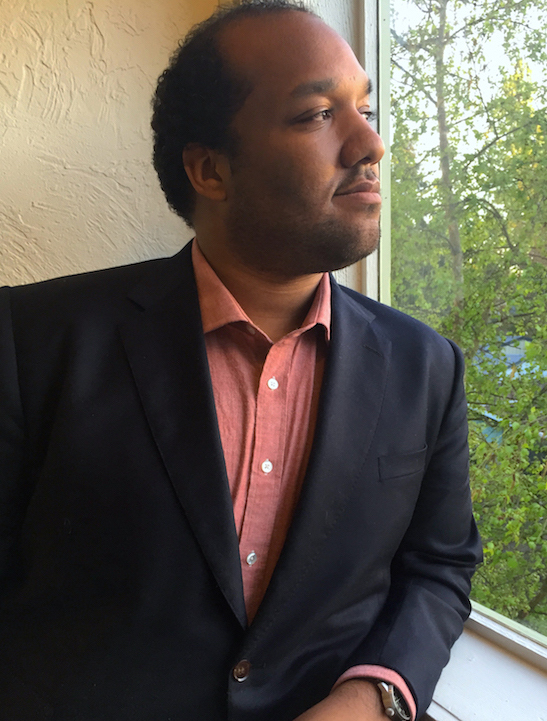 While Maggie’s dissertation will develop methods for side-effect mitigation in closed-loop deep–brain stimulation, Tim’s dissertation will explore how different methods of controlling a deep brain stimulator effect the user’s feelings of identity, autonomy, and agency. They both anticipate graduating from their doctoral programs (Electrical Engineering and Philosophy, respectively) in 2018.
i) T Brown, M C Thompson, “When Neuroethicists Become Labmates: Obstacles, Recommendations, and (Non-)Metrics for Success,” International Neuroethics Society Annual Meeting, 2016.
ii) Bonaci, T, J Herron, C Matlack, and H J Chizeck. “Securing the Exocortex: a Twenty-First Century Cybernetics Challenge.” 2014 IEEE Conference on Norbert Wiener in the 21st Century (21CW), 2014.
iv) Dotson, Kristie. “How Is the Paper Philosophy?.” Comparative Philosophy 3, no. 1 (December 30, 2011). v) Campo-Englestein, Lisa, and Sarah B Rodriguez. “Two Chicks in a Lab with Eggs.” The Hastings Center Report 41, no. 3 (May 1, 2011): 21–23. vi) Barnard, D. “Reflections of a Reluctant Clinical Ethicist: Ethics Consultation and the Collapse of Critical Distance.” Theoretical Medicine and Bioethics, 1992.